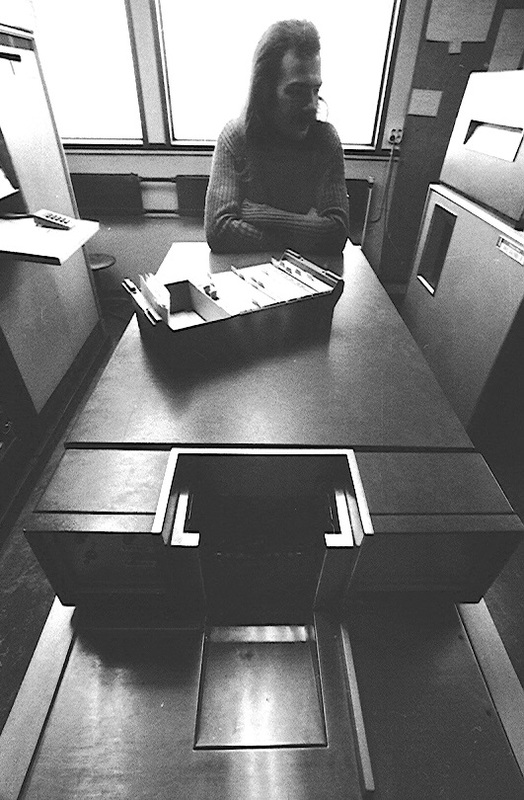 The Univac Solid State Computer 90. The High Speed Card Reader. 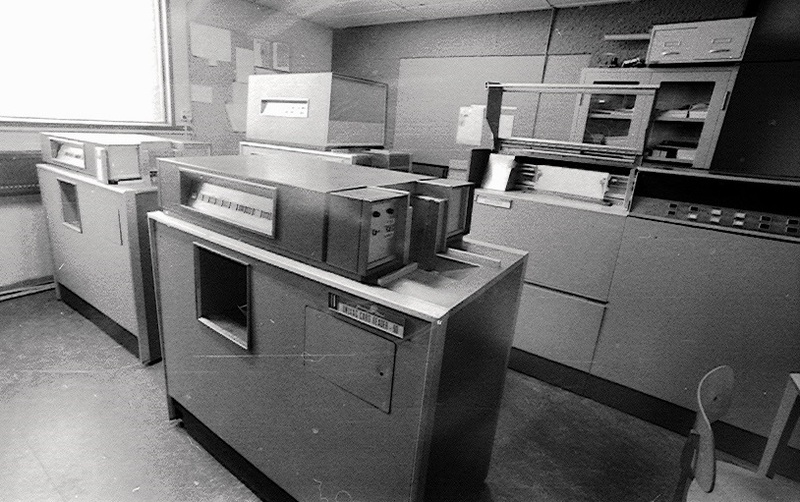 Our Card Reader could read 600 punchcards per minute. each with 45 metal brushes detecting punched-holes by making an electrical contact with the brass cylinder underneath. each row of bits was written separately to the card-buffer on the magnetic drum. Instruction 42 1100 0820 tested if the card-data already had been written onto the buffer. The next instruction 96 4200 0145 copied the buffer onto the 4200 band of the main-memory. Programming to read the punch-cards was difficult. The programmer had to be aware of the cardreading-cyclus, since the timing of the cardreader-instruc­tions had to be accurate. When the cards were read in a stream, four cards were at differend positions in the reader. this was detected by the hardware and the program-execution was halted. Univac had provided well documented routines to be called up by programs. The routine READ could read up to 40 cards in advance and store them in memory, independent of the progress of the main-program. The routine checked both read-station-images for reading-errors and placed new data in working space on demand. I only wrote small self-loading programs for test-purposes. 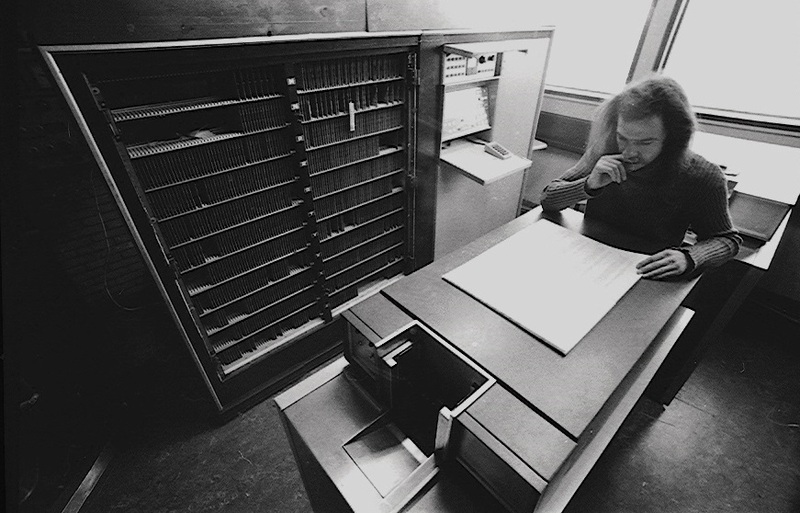 Huib had to program the complete reading and processing of his pencil-mark-cards. 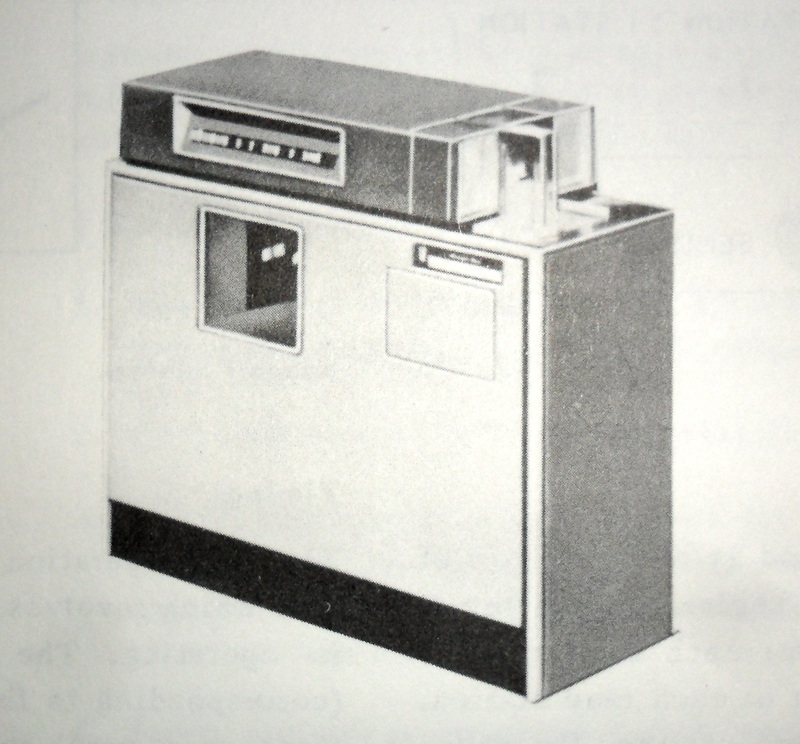 Normally, we used the card-routines provided by Univac.